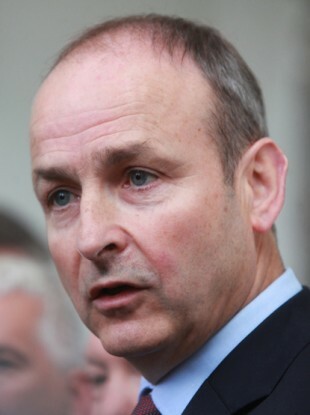 FIANNA FÁIL LEADER Micheál Martin said today he believes that property interests still retained by the Catholic Church in hospitals should be handed over to the State. In an interview with Sean O’Rourke on RTÉ Radio 1 today, he also said that he believes all mother-and-baby homes should be investigated, describing what happened to people such as survivor PJ Haverty, who was on the show before him, as “unchristian cruelty”. Martin said that the situation also reveals the “evils of institutionalisation”. “I think it’s a salutary lesson about being very careful into the future and the present day about the perils and potential evils that can result in institutionalisation,” said Martin. In 2002, an indemnity agreement was entered into by the Fianna Fáil Government and 18 religious orders. Under this agreement, the congregations agreed to hand over €128m in cash and property. In return, the State would indemnify these orders against legal actions from former residents. The cost of redress is currently €1.5bn. In November 2015, it was reported that while €42.6 million in property had been transferred from religious orders to the State as part of the abuse redress scheme, a further €31m was at that point outstanding. The deputy was asked if the government should revisit the deal, given what has been revealed about Tuam. Martin said that regarding the church, in his view a better deal could be done – and that all of the hospitals in the State should be given over by the churches to the State. Asked how you could tie it all down, he said it would be a matter of engaging with the various orders one by one. There is a limit actually to what can be achieved in that field if one is honest, but on the other hand there is land and property that should be there for the public good – and some orders have responded in that regard by the way in relation to the provision of some services in health and education. The Fianna Fáil leader agreed that hospitals such as St Vincent’s and the Mater should be handed over to the State. “Given the fact the State is effectively now funding all of these hospitals, my own view is that it’s time if there are any property int that are still retained by the church they should be handed over,” he said. With regard to the needs of children in Ireland today – such as mental health services and other needs – Martin said that he hoped the next Budget could prioritise this. “If we are all honest we can’t do everything, let’s at least take something positive out of this scandal and make sure priorities children in the next budget and the kind of services that I have outlined there,” he commented. In addition, he said that he believes the Commission of Inquiry into mother and baby homes has to be broadened out, and there has to be a “proper forum” for families and people affected by the homes to let their story be told. Email “Hospitals still owned by the Catholic Church should be handed over to the State, says Micheál Martin”. Feedback on “Hospitals still owned by the Catholic Church should be handed over to the State, says Micheál Martin”.